Home » Books » Practice! Practice! Exhibiting the same clarity as Latin via Ovid, this student workbook parallels the text's forty lessons and is the ideal supplement to classroom recitation and exercises. Drills in grammar and vocabulary, combined with innovative directions for practice, facilitate the student's acquisition of Latin. 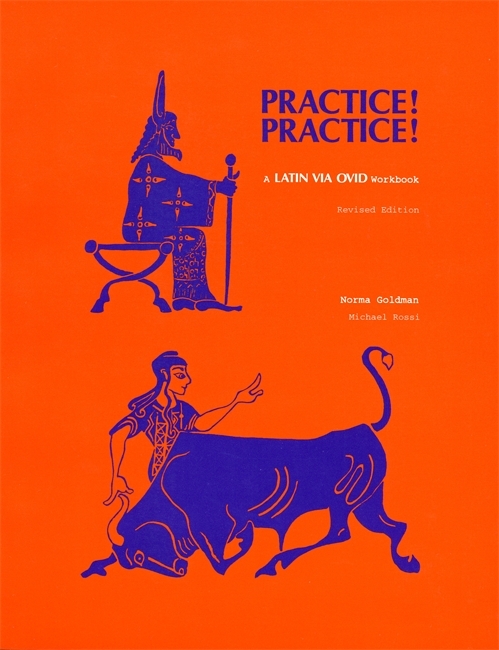 Teachers: When ordering Latin via Ovid and the audio material, be sure to order the free Teacher's Manual (not sent to students) that contains all of the translations of the Latin stories, plus each chapter's Exercise V, which requires the translation from English into Latin. Games and songs are included. Please request this guide by calling us at 313-577-6126. For more information on how to use this product, please see Latin Via Ovid: A first Course, 2nd edition by Norma Goldman and Jacob E. Nyenhuis and the accompanying audio materials (in cassette and USB audio file format).